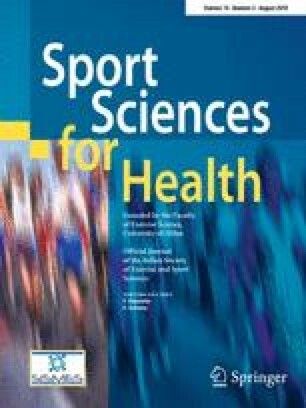 This study verified the blood pressure response between high-intensity interval aerobic exercise and continuous aerobic exercise of moderate intensity in normotensive participants. For this, we evaluated 30 physically active (23.0 ± 6.5 years; 71.9 ± 7.2 kg: 1.74 ± 0.1 m; 23.9 ± 2.0% of body fat) normotensive men (systolic: 122 ± 9 and diastolic: 75 ± 9). After measuring maximum oxygen consumption and anaerobic threshold, the sample was randomized into three conditions: (1) high-intensity interval aerobic exercise (HIIAE); (2) continuous aerobic exercise of moderate intensity (CAEMI); and (3) Control. Heart rate, systolic and diastolic blood pressure were measured at rest and 15′, 30′, 45′ 1, 2, 3, and 4-h post-exercise. There was a decrease in systolic blood pressure and diastolic blood pressure up to 3 h in the CAEMI session (systolic: 112 ± 9 and diastolic: 70 ± 9; p < 0.05) and up to 4 h post-exercise in the HIIAE session (systolic: 116 ± 9 and diastolic: 71 ± 9; p < 0.05) when compared to the control. There was no difference between CAEMI and HIIAE (p > 0.05). CAEMI and HIIAE induced similar post-exercise hypotension; however, HIIAE provided longer post-exercise hypotension.